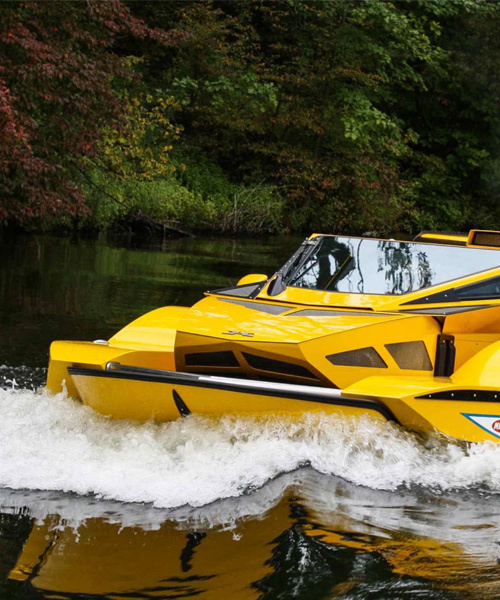 water vehicles are suited for long distance travel, commuting, cruising, racing and off-road riding. there are numerous vehicles which people would consider neither a ship nor a boat, such as: surfboards; underwater robots; seaplanes; jetskis; and torpedoes. 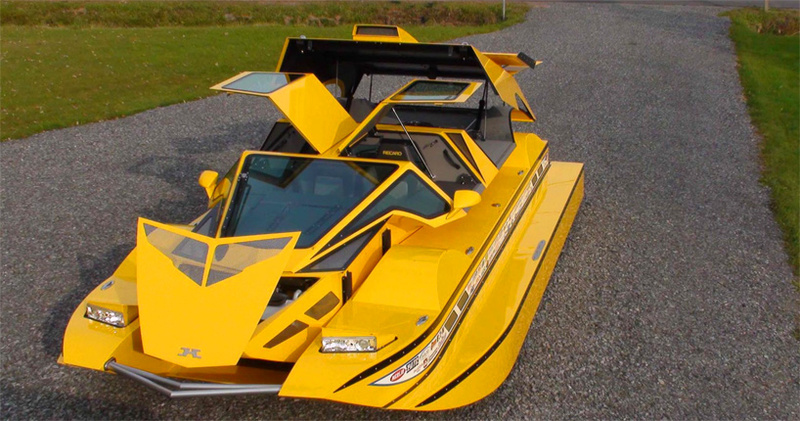 ever dreamt of owning your own racing car or even your own boat? 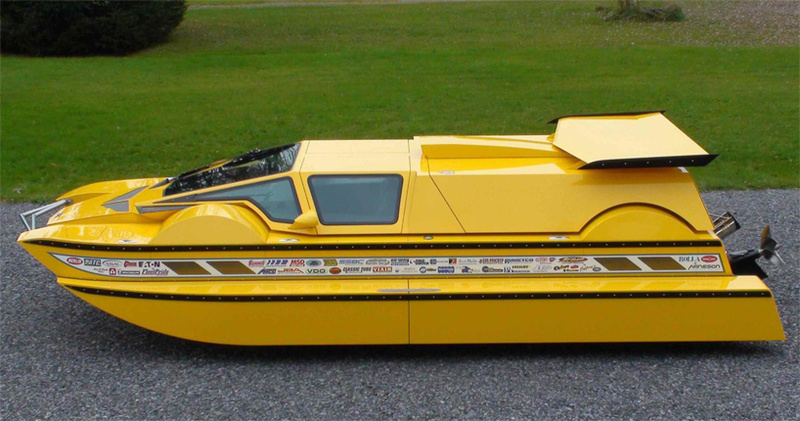 well, with the dobbertin hydrocar, both can be a reality thanks to one innovative design. 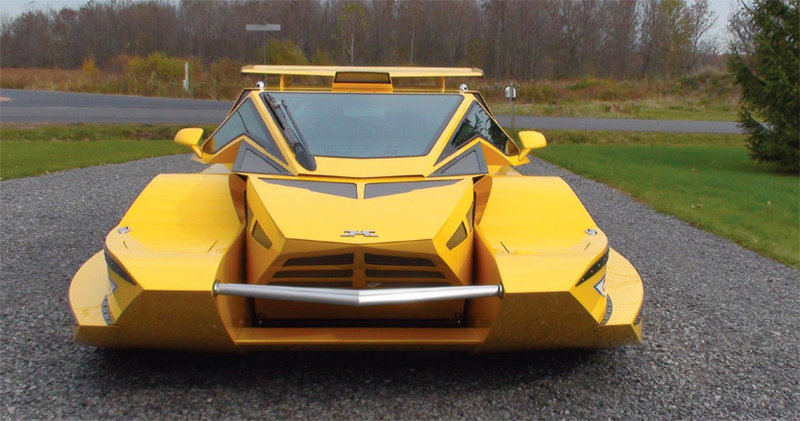 first shown in 2004 before completing testing in 2010, the amphibious vehicle was created by rick dobbertin after a 10-year build that, reportedly, cost in excess of $1 million USD. now, the ‘part hod rod, part engineering marvel’ is up for auction without reserve by worldwide auctioneers. 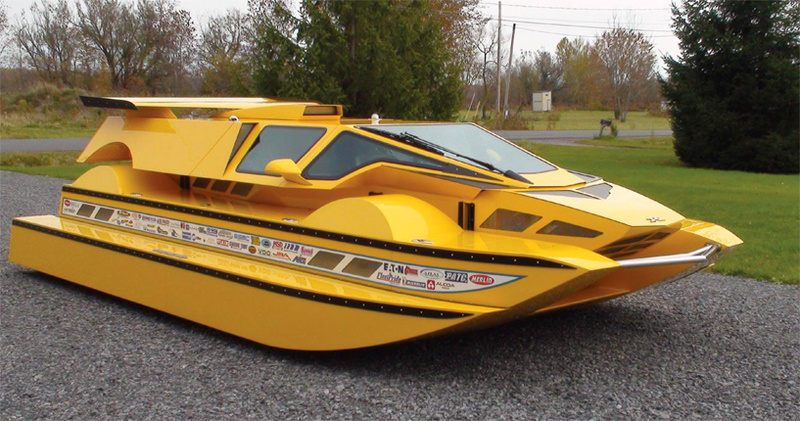 the dobbertin hydrocar morphs from a land vehicle into a water craft within seconds. when entering water, its fenders lower by nearly eight inches to become full-length sponsons. yhe bill mitchell racing engine, which produces 762 hp, then powers the rollo 6-blade stainless steel propeller. however, on ground, the vehicle functions with front-wheel drive, stainless steel brakes and suspension for the front and rear axles. 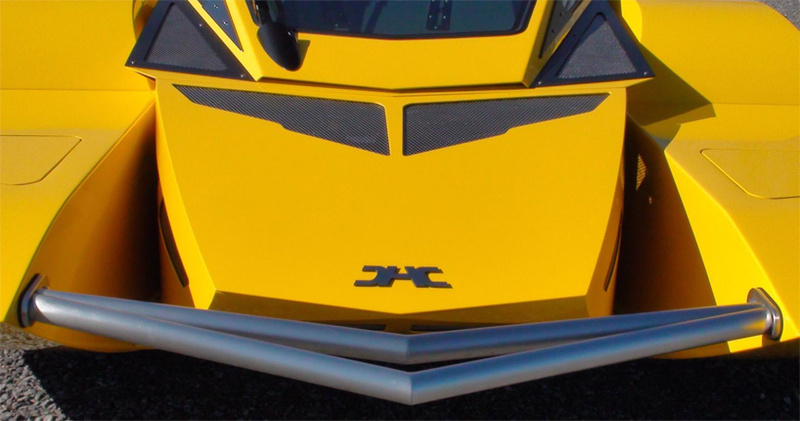 decked in corvette velocity yellow to highlight its powerful performance, the central body of the hydrocar’s hand-formed exterior is a space frame and roll bar, built from stainless steel. 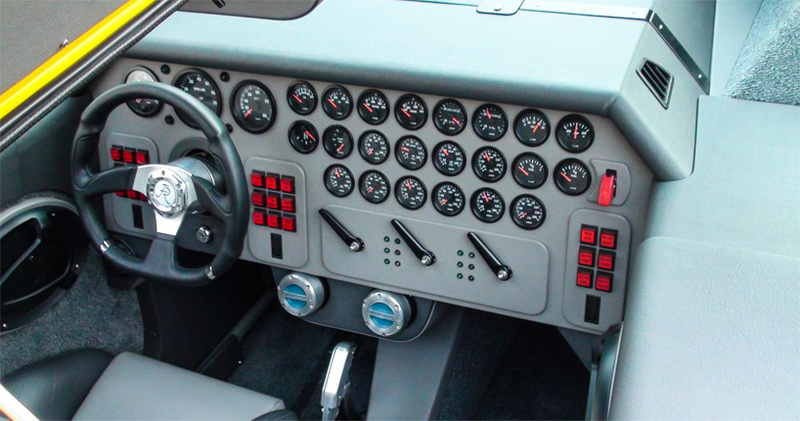 inside, the interior appears like a cockpit, featuring 45 control switches, 16 LED monitoring systems, 25 VDO gauges and three hydraulic levers, which control the movement of the sponsons, axles and wheel-well doors. as well, a custom built trailer completes the innovative vehicle. You’d need to pay me to haul it to the scrap yard.